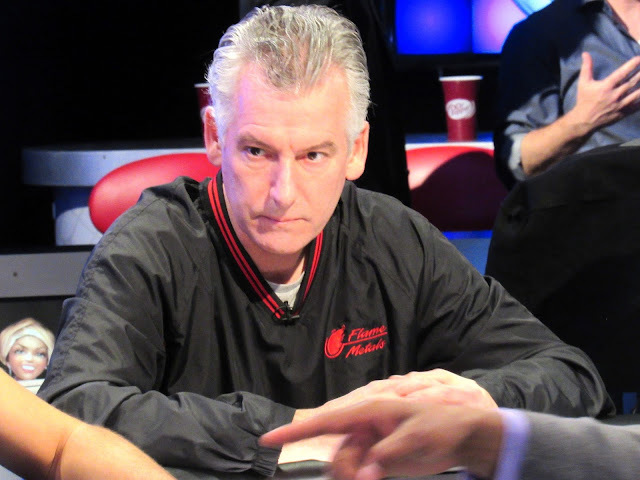 Dennis Stevermer was all in preflop holding [Ad][8d] and was up against Chino Rheem's [Ks][9h]. Dennis was 62% to survive, but the [9c][7s][6c] flop gave Chino top pair. Dennis had plenty of outs with an open ended straight draw and an overcard, but the [4h] turn and [Qh] river failed to improve Dennis's hand. He will exit this tournament in 5th place, good for $243,090.